The art of remixing jungle tunes is one that treads a fine line. On one side tracks come out warped and unintelligible, but on the other, when things go right, a new freshness is added to classic sounds, bringing relevance and a re-imagined heaviness to well-loved tunes. 6blocc spends his life doing the latter. A massive jungle fan from day zero, he's currently travelling the expanse of America on a tour to educate the masses about jungle etiquette. 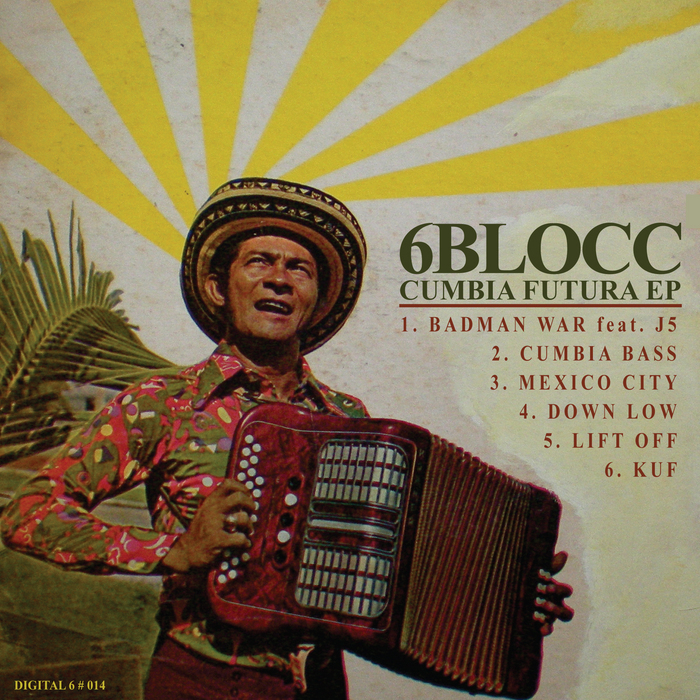 Revelling in pushing samples to the extreme, tunes like "Mexico City", "Down Low" and title track "Cumbia Bass" swing wildly between dancefloor smashing D&B and experiments in bassline sound. Listen to believe, you won't regret it.